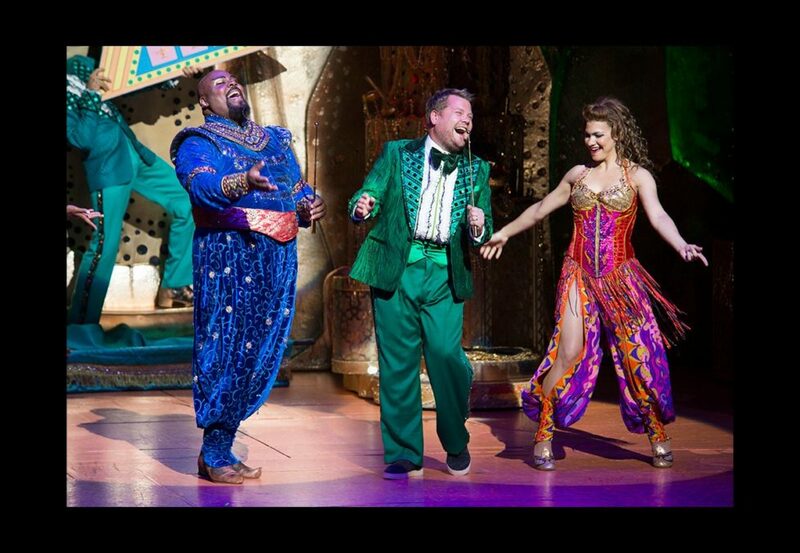 Well, Ali Baba had them forty thieves, but the Great White Way's got James Corden! The Tony winner, 2016 Tony host, Broadway fave assembler and recent Emmy winner has returned to the stage. The sold out house at Disney’s Aladdin on September 9 had a fourth wish granted when the Late Late Show host made a surprise one-night-only appearance during the show-stopping number "Friend Like Me." The Broadway alum appeared alongside fellow funny man and Tony winner James Monroe Iglehart as a game show host presenting Aladdin with "punny" prize suggestions (“Behind curtain number three: a brand new pyramid! Now you and King Tut will finally have something in Tutankhamen!”). Puns aside, we've got a wish: to see Corden back on the Great White Way. Genie, make it happen, and theater fans, be sure to catch Aladdin at the New Amsterdam Theatre!